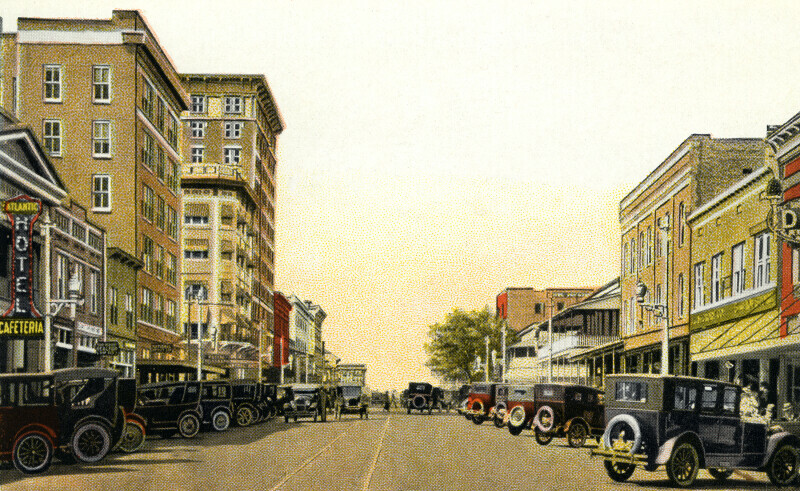 This image puts the viewer at ground level, looking west along Central Avenue. Cars are parked at an angle to the street, on both sides. Streetcar tracks run down the center of the road. A continuous line of commercial buildings run along both sides of the street. WARNING: You are about to download a 16.9 MB TIFF!